Though widely admired, Ruth is often misunderstood. Too often have I seen Ruth lumped in with Esther (and maybe Proverbs 31) as the “books for women” since these are apparently the few sections of Scripture about women and for women. Such an attitude is a disservice to everyone involved, as all Scripture is for women, these books are for men too, and the purpose of the books themselves is overlooked. Though its beauty as a love story cannot be ignored, Ruth was not preserved in Scripture as a sanctified romance novel. Don’t get me started. 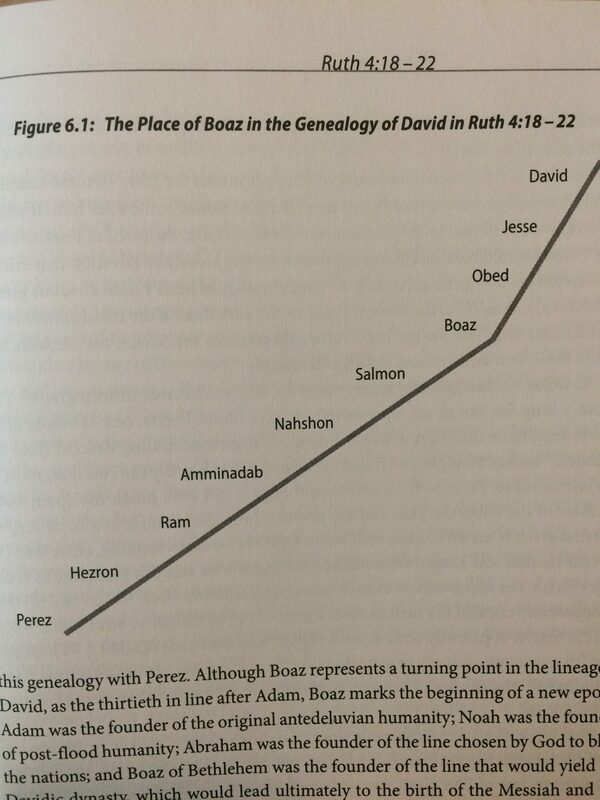 Thankfully, Daniel Block avoids such marginalisation and sentimentality in his recent Ruth commentary. Main idea of the passage. Short summary of the key idea(s). Literary context. How this unit relates to its surrounding context. Translation and exegetical outline. Commentator’s translation and discourse structure of the unit. Structure and literary form. How the literary structure and rhetoric of the author contributes to their point. Explanation of the text. Similar to most commentaries, but with particular attention to how the biblical authors use their own language. 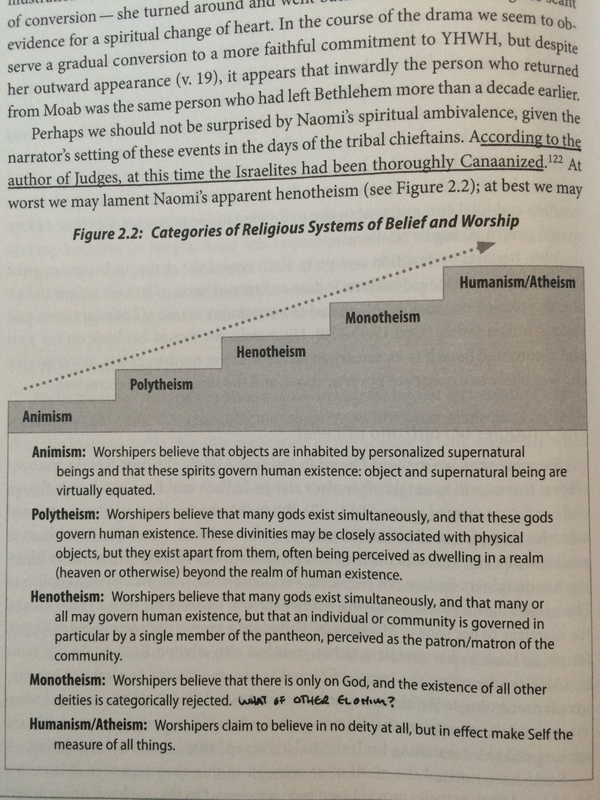 Canonical and practical significance. 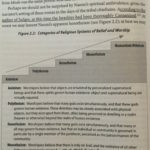 Connections to other Scripture, including the NT. 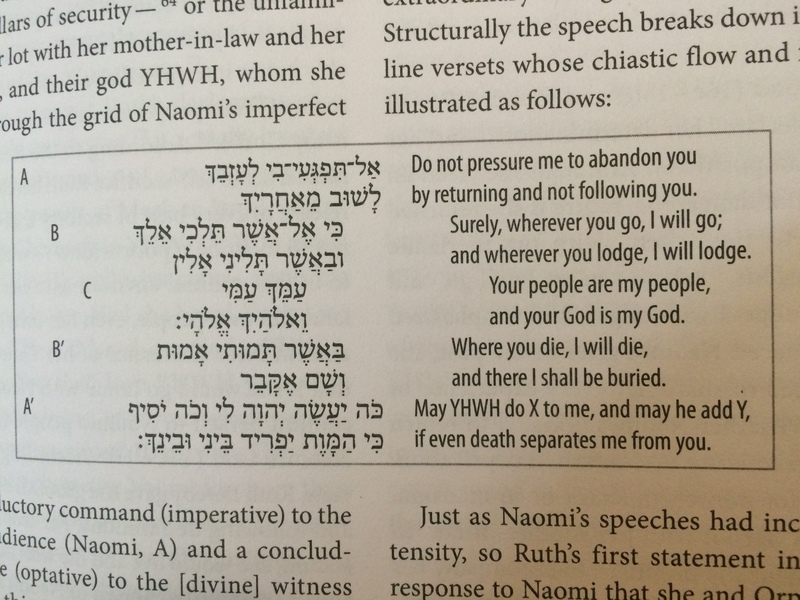 This is not Block’s first commentary on Ruth. In 1999, he provided the well-received NAC volume on Judges and Ruth. In the near-20 years since, Block has had the chance to “rehear the biblical author and to reflect even more deeply on its message and the literary strategies the author employed to get that message across” (p13). For Block, this both confirmed some opinions in his earlier work and required reevaluation of others. In addition to years of developing thought on the book, the new focus on literary structure in particular sets this commentary apart from his earlier work. In his introduction, Block criticizes the post-exilic consensus of critical scholarship and tentatively proposes Ruth as dated to Josiah’s reign (540-609 BC). 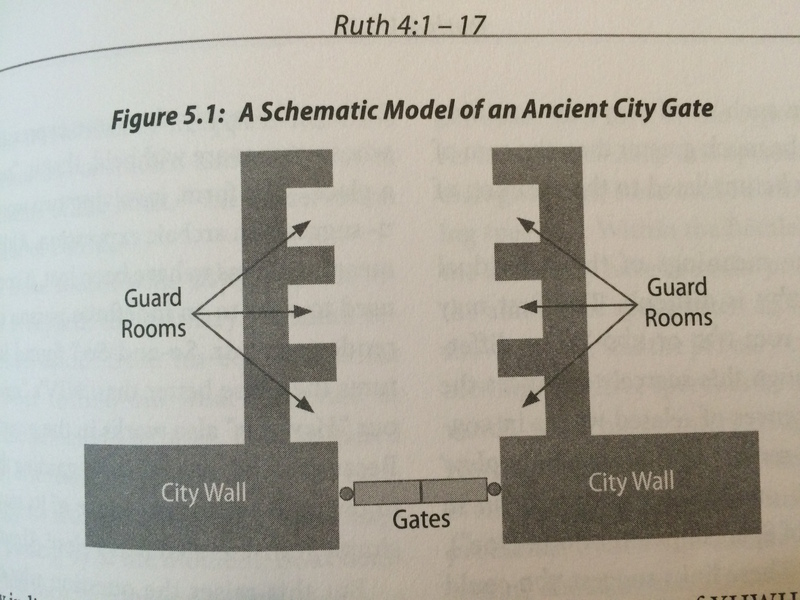 Though it is a story of Ruth, Naomi and Boaz, Block suggests that the purpose of Ruth is “to explain the origins of David and Israel’s royal line” (p38) and this is recognized by its placement between Judges and Samuel in the tradition preceding the Septuagint order. Also included is discussion on the literary style, intertextuality, and canonical positioning of Ruth. 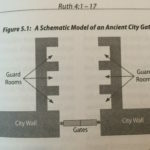 Block reads Ruth as a drama of sorts, and as such Ruth is divided into an introduction (1:1-5), conclusion (4:18-22) and four acts (1:6-22; 2:1-23; 3:1-18; 4:1-17), with acts divided into 2-3 smaller scenes. Most unexpected is the “Dramatic Reading of the Book of Ruth” in the appendix, where Block provides a several-page script for six individuals to act out the narrator and characters in a public performance. The commentary proper is thorough and wide-ranging. Block is particularly attentive to how the story is told, noting irony, tension, and rhetoric in the text. This is seen in Block’s commentary on Ruth 1:1-5, verses easily overlooked as simply setting the stage for the meat of the story. Instead, Block notes small but significant details such as the author withholding the name of “the supposed main character” (p65) in Ruth 1:1. 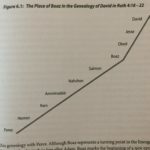 In fact, “his location seems more important than his name” (p65). Block’s attentive reading of the text allows him to draw out drama even between verses 1 and 2! 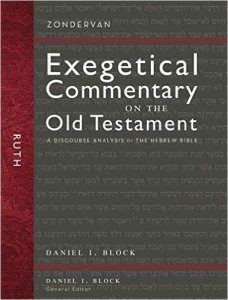 Block’s attention to the rhetoric of Ruth leads to interesting insights that raise equally interesting questions about historicity and the nature of Scripture. For example, Elimelech’s sons Mahlon likely derives from the Hebrew “to be sick” and his brother Chilion “frailty, mortality”. In light of the author’s rhetorical intention, the secondary nature of the characters, and the unlikeliness that they would be christened with these names, “these are probably artificial names like ‘Sicko’ or ‘Kaput,’ created to function as nomen omens, preparing hearers for the intensification of the crisis about to strike Naomi” (p68). In other words, since their historical names don’t matter, the author has provided fitting names that spice up the story. 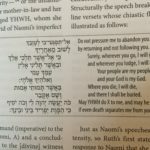 This is also seen in the potential redeemer of Naomi (Ruth 4:1). Many translations render the Hebrew peloni almoni as “my friend” or “calling him by name”. However, Block suggests that the “rhyming words suggest an artificial creation, a whimsical word-play” (p205) like hodge-podge, hocus-pocus, or more appropriately, Joe Schmoe. In other words, again, the historical name of this man is unimportant but literarily what matters is that this generic man is introduced as a foil to Boaz. Though he appears a threat at first, “he would shortly disappear from the drama as a nameless character” (p207). As with other volumes in the ZECOT series, Ruth contains several diagrams, tables and images in addition to the visual discourse analysis of each unit. Far from eye candy, these are used to aid understanding of a given passage. My criticisms are few. Most odd to me is Block’s attempts to avoid any link between Boaz and Christ, as “neither the Hebrew Scriptures nor the NT explicitly makes this connection”; instead suggesting that “if any character in the book functions typologically as the Messiah it should be Obed” (p55). Block’s carefulness is appreciated but unusual. It must be admitted that I write this review as one unversed in Ruth scholarship, so my comments ought be read as such. Block’s commentary is well rounded with the expected focus on literary analysis. Block’s skill as a commentator allow him to comfortably switch between addressing application and technical elements of Hebrew. Though the ZECOT series has a particular focus, this competent volume could easily be used as a single commentary for teaching through Ruth.